Last year if you would have asked any poker player whether they would make the 5 hour drive to southern Indiana to attend a World Series Of Poker Circuit event. Most players would have said “Are you kidding me!”. Well now it is present time and how much does a year make, well plenty. The World Series of Poker Circuit event is making its first appearance at the Horseshoe Casino in Hammond, Indiana which is only a short 40 minute drive from Chicago. Well that decision to move an event closer to Chicago has paid off big time. Reason being is because with just the first event, the attendance almost broke the World Series of Poker Circuit event attendance record for a single event. The attendance for the first event which was a $345 NL Hold em’ event was 1,187 players, this was only 158 players shy of the single event attendance record. The decision to finally bring a World Series of Poker Circuit event to the Chicago area was due mostly to the fact that the Horseshoe Hammond Casino recently did a major overhaul of their poker facilities. The actual World Series of Poker Circuit events will take place in the revamped entertainment hall, which holds a spacious concert stage where the events final tables will take place. Due to the massive turnouts for the events, some players actually had to play in the luxurious poker room which is located on the main casino floor. The World Series of Poker Circuit event in Hammond is not over just yet so lets wait and see if any more Chicago area players make the short drive and hey we could see a new World Series of Poker Circuit event attendance record. 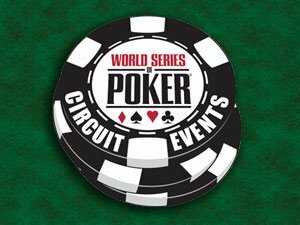 Good Luck to all players in all of the World Series of Poker Circuit event stops.